"It's really bizarre. 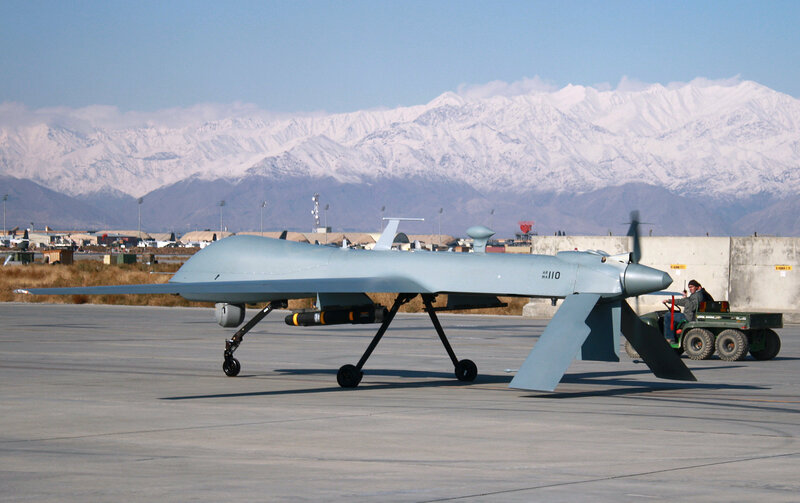 We have been asking about Ramstein's role in the US drone war for two years. Because of statements from drone pilots the public has known for a long time that Ramstein is a main control center in this 'drone war.' Now, after many denials, there is finally an admission that Ramstein fulfils this function," Hunko said. The Ramstein Air Base is located in Rhineland-Palatinate, southwest Germany. It serves as headquarters for US Air Force Europe, and is also used as a NATO base. In August the US military informed the German federal government about Ramstein's use as a control center for drones, but Berlin has waited until the beginning of December to release the information. "They would not have said anything if we, the opposition, hadn’t asked them again. The request for information from the US military by the federal government only happened because of pressure from us deputies. In fact, the US only officially acknowledged the role that Ramstein has played in this drone war in August." 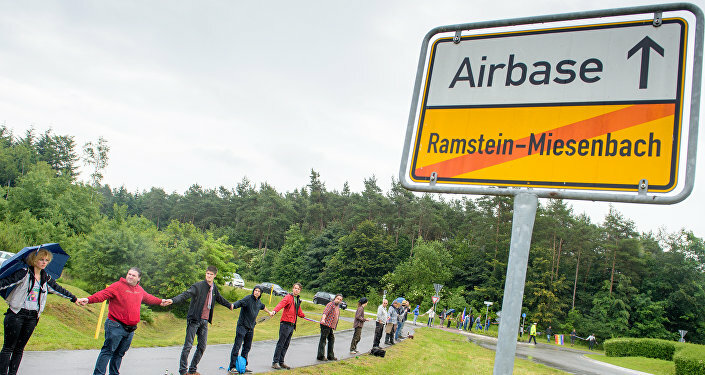 In response to a question from Die Linke, the German federal government has said that the "planning, monitoring and evaluation" of drone operations was carried out at Ramstein. As a result, the opposition party is campaigning for the base to be closed down, because US drone operations violate German and international law. At the least, the government needs to carry out a review into Ramstein's activities, Hunko said. "These drone operations are carried out in the course of the so-called war on terror, in which suspected terrorists are targeted by drones. Terrorists are targeted on the basis of lists created in the US and released by the American President every Tuesday. There are also so-called extralegal executions in countries which the US is not at war with, including Yemen and Pakistan." In July the Obama administration claimed that between 64 and 116 civilians have been killed by 473 drone strikes in Libya, Pakistan, Somalia and Yemen since the beginning of his presidency in 2009. The admission was slammed by watchdog organizations, which estimate that as many as 1,100 civilians have been killed as a result of drone strikes during the Obama administration. According to research by the London-based Bureau of Investigative Journalism, in Pakistan alone the US has carried out 424 drone strikes since 2004, which have killed between 424 and 966 civilians, including up to 207 children. In Afghanistan since 2015, at least 845 US drone strikes have killed between 124 and 181 civilians. One of the principles of international law governing the resort to military force is that of proportionality. This requires that the collateral damage, that is cost in civilian lives lost and civilian property, must not be disproportionate to the necessity of a military action. Die Linke says that US drone strikes contravene this principle, and is calling for an international convention on their use. "They kill one or a few terrorists, but they also kill a lot of innocent people too. 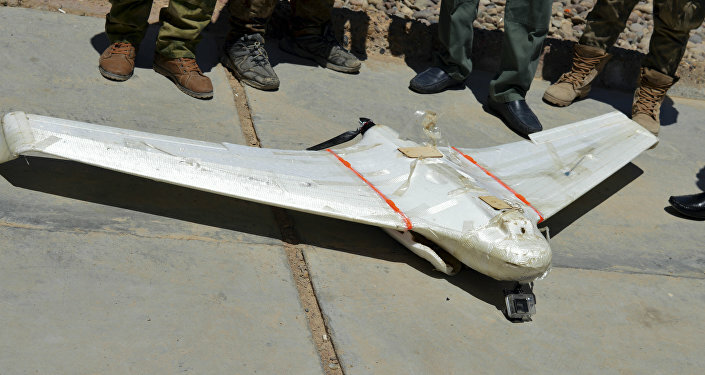 For many people in these regions there is a permanent fear that a drone could hit them at any time," Hunko said. "I have been calling for the UN to implement an international convention on drones, like the conventions on landmines and chemical weapons. Furthermore, extralegal killings would have to be banned. This has not been regulated internationally. The Council of Europe has adopted a very good resolution, in which the Parliamentary Assembly calls on individual EU governments to ensure that such illegal operations are not being carried out with support from their territory. However, ultimately an international convention is still necessary."